The game started quite normally, Molotov and Ribbentrop arranged a year of peace. Germany gave Hungary to Slovakia making her client but granting Masovia to Russia dragged Hungary back to friendly. South Africa joined in with the commonwealth. The western allies raided the iron ore route. 6 British corps moved to France and the French attacked across the upper Rhine advancing 60 miles but feeling quite exposed. 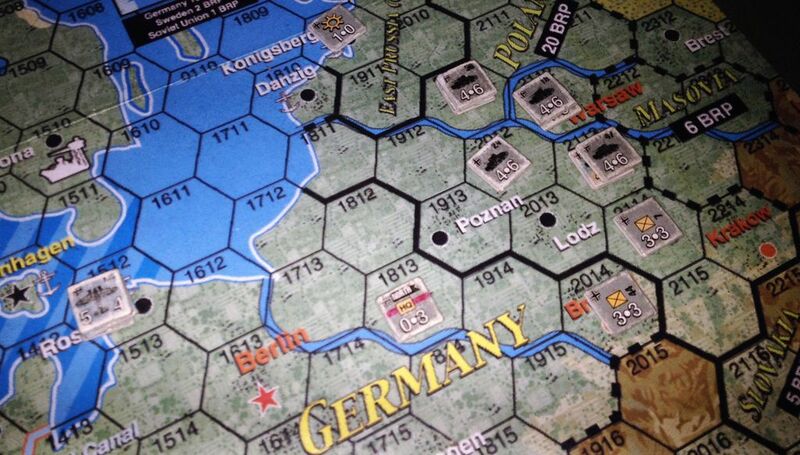 Germany declared on the Netherlands and crushed her easily but the black forest bridgehead remains. Poland fell, 7 panzers and 15 TAC made that all too easy. 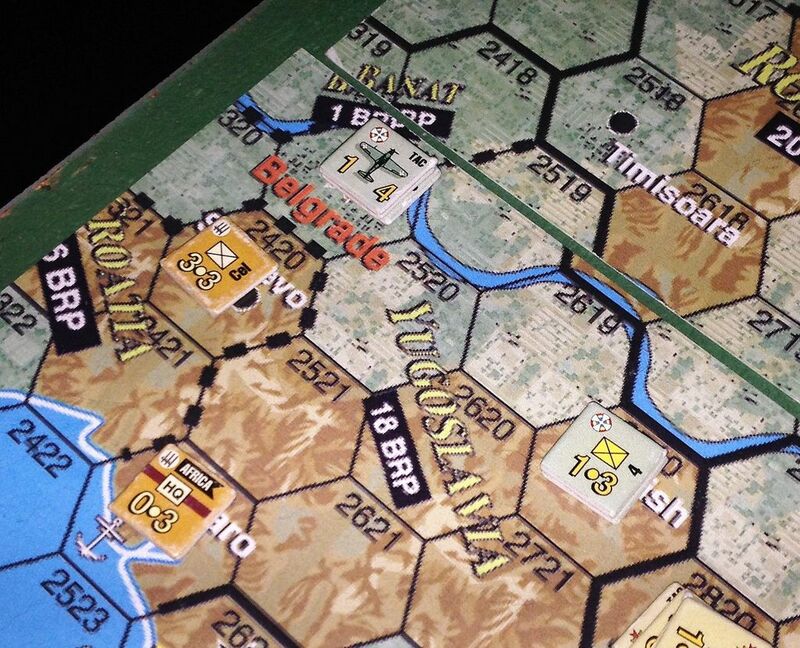 Italy swept aside Yugoslavia's border line but stalled in front of Belgrade, it will probably fall in winter. Russia set up to attack Bessarabia, garrisoned the Caucasus and Leningrad whilst trying to diplomacise. Finland and Romania played ball but Turkey was not open to persuasion and declared on the soviets, threatening a land attack on Yerevan and Batumi. Britain landed at Izmir with battleships and carrier planes in support and armour following on. 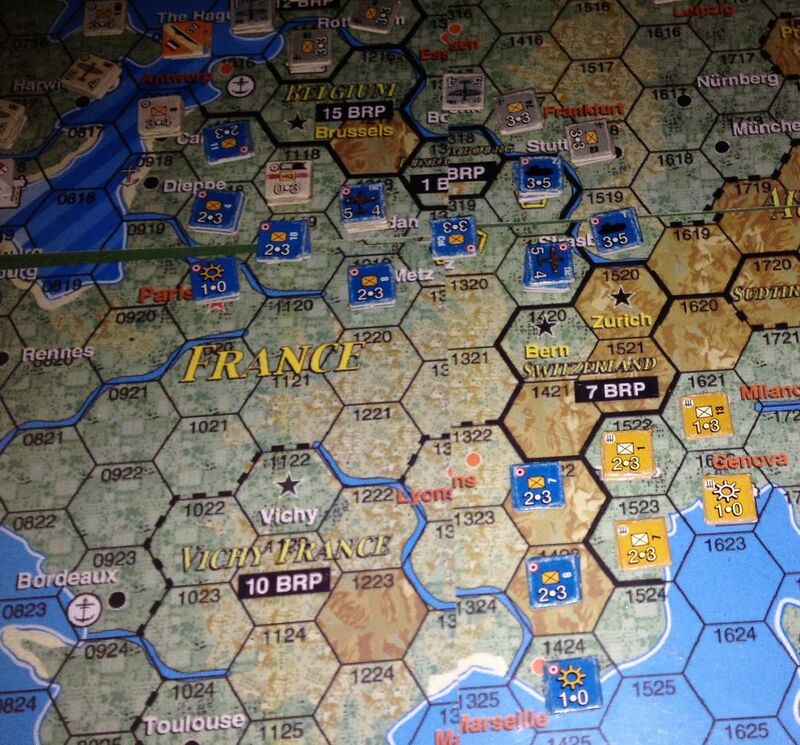 Consequently Russia allied with Britain and France opening up an even longer front to the south. The Turks railed reserves from the Caucasus back to Istanbul and Ankara. 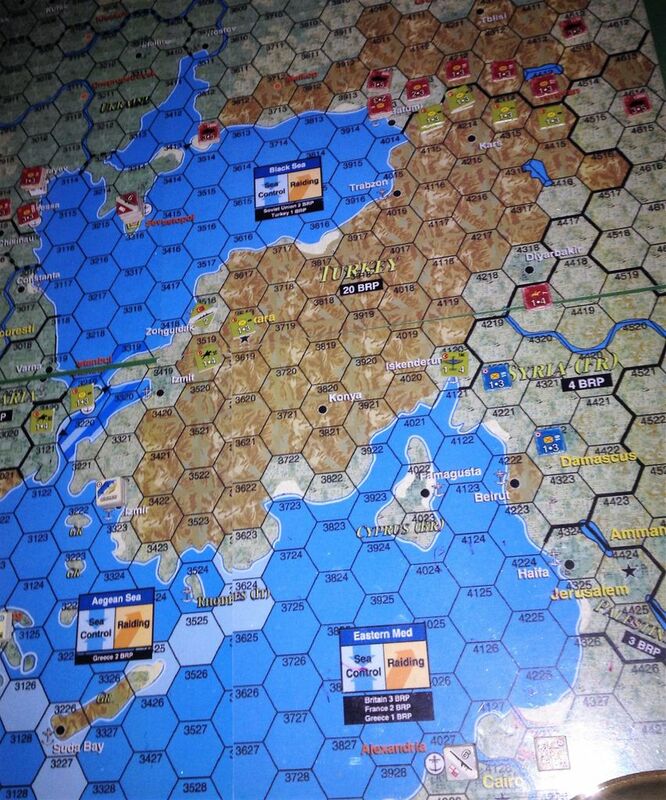 Russia shifted tanks and planes to her southern flank. French and soviet cavalry arrived in Syria, faster than armour in mountains. The allies need to take every Turkish city, difficult given the number of defenders and terrain. Thanks to Jon for a good session.